Disclaimer: My 2019 club fitting opportunity was made possible by the wonderful folks at Titleist. When it comes to club selection I have always been one to succumb to advertising or the influence of a professional athlete. In some cases it has worked out just fine but for every good fit I’ve had to go through a fair share of duds. Getting fit for clubs is not about a cheat code that will turn me into a scratch golfer. Getting fit is about honest assessment and analytical awareness. I don’t have the swing speed of Justin Thomas or the wedge wizardry of Jordan Spieth. I am a 40-year-old man who plays to an 8 index that wants to maximize his capabilities and learn more about his golf potential. Before I get into my fitting experience I’d like to flashback to my younger, more vulnerable days. The year was 1991 and I was a young tennis player. Like most teenagers I was trying to find my identity. As luck would have it a young, brash, 21-year-old tennis player was making a big splash touting the virtues of “Image is Everything” and rebelling against the stuffy country club stereotypes surrounding tennis. Andre Agassi was a splash of color on the court. His spandex & denim shorts, fluorescent racket, and flowing locks were hard to miss. I was all in. I got the shorts and shirt and played the part. That year for my birthday I even got the racket. Sorry Andre, identity theft is real. It turns out that the image was just that, an image. The clothes were just a costume and the equipment was not a good fit for me. The racket was head heavy, perfect for his punishing groundstrokes. Unfortunately, I was a serve and volley player that tried to get to the net as soon as possible. Self awareness is not strong in most teenagers and I was no exception. 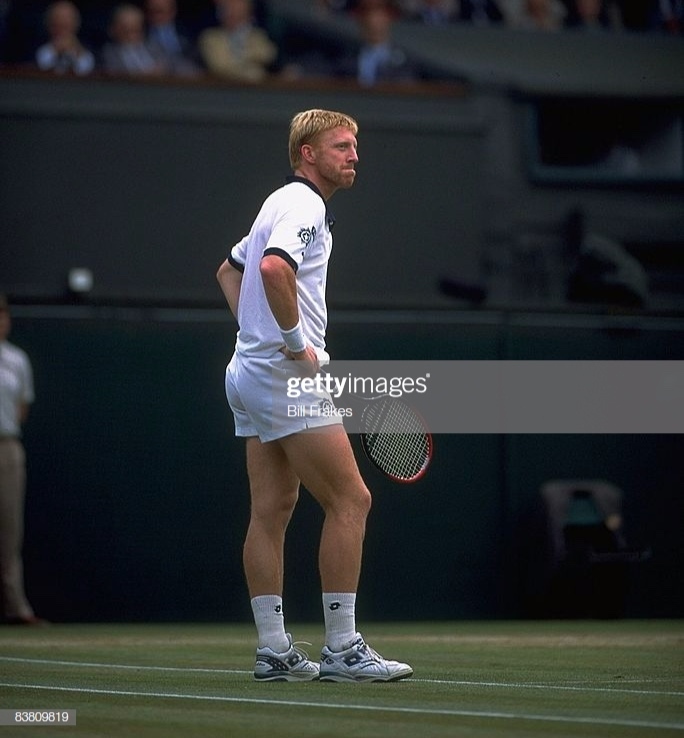 It took me years of stubbornness to accept the fact that the Agassi racket was not the best for me. By 1994, with the help of Boris Becker, Pete Sampras, and Stefan Edberg, I found a racket that better suited my swing and my game. I wasn’t ATP Tour bound but the improvement was noticeable and I learned to embrace what I was and admit what I was not. So how does all of that relate to golf? I didn’t start playing golf until 1996 but I managed to make some of the same mistakes when it came to equipment and fashion (baggy was big...literally). My first set was perfect for a beginner. The shafts were grafite and the heads were oversize; my swing was a work in progress. However, it didn’t take long for me to fall into the same patterns. April, 1997 was a pivotal time in golf. The face of my generation said hello to the world and donned a green jacket. I knew my limitations but I also believed that a putter is a putter is a putter and the one Tiger used to scorch Augusta must be able to make more putts. I wanted some teryllium in my life! That Christmas I was bestowed with a club so grand I didn’t quite know how to wield it. By 2000 I was ready to buy a new irons. My ego led the way and my limited flirting with scores in the high 70s caused me to buy clubs above my index grade. I bought progressive blades that lacked forgiveness but loved the look. For the next 8 years I played irons that didn’t help me get the most out of my game. 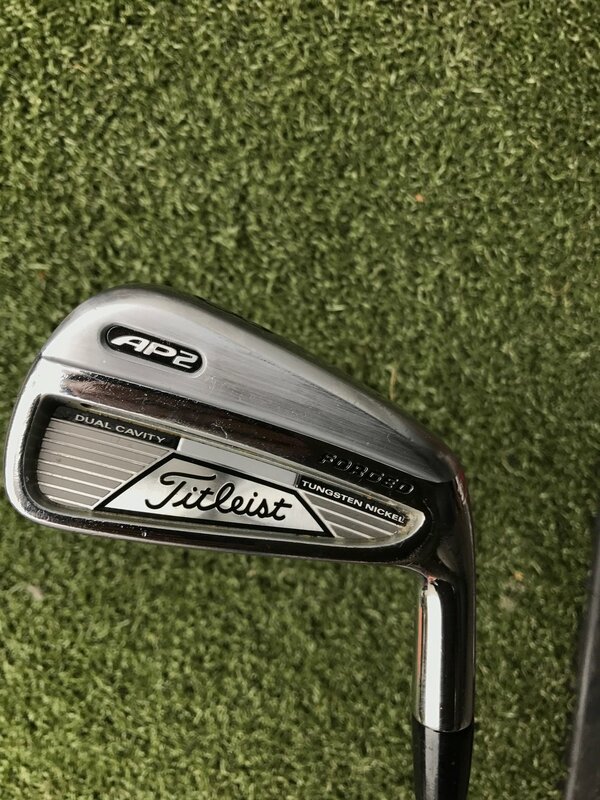 By 2008, I decided enough was enough and purchased a set of Titleist AP2s. They were straight off the shelf but the improvement to my game was immediate. My frequent miss hits were not missing by as much. That summer I posted my lowest score to date and more importantly I dabbled in consistency. It wasn’t until 2017 that I finally came around to the concept of fitting. I had been buying clubs for years but never took the time to understand how they fit my swing. To use a clothing analogy, courtesy of Shane Bacon: I was trying clubs on at the mall, it was time to see the tailor. I made an appointment to get fit for irons at Desert Willow Golf Resort with Paul Bucy. I was nervous going into the fitting. What if my swing was off that day? What if no club felt right? What if I couldn’t make a decision? When I arrived Paul greeted me and walked me to the back of the range. He gave me a bucket of balls and did the best thing imaginable, he walked away. I was left alone to warm up. I didn’t think I required solitude but I appreciated it. After about 10 minutes I was less nervous and settled into my swing. Paul came back out to discuss the process, variables, and the input he would need from me. I hit a few balls for him and then he started putting me through the paces. I had no idea how much sound would play a role in my comfort with a club. The muted thump of a well iron is as important as trajectory and consistency. After all, comfort is key. Paul did a great job of staying patient with me until we struck gold. In the end we settled on a set of Titleist TMB irons and Vokey wedges. It’s been two years and I couldn’t be happier with my irons and wedges. This year I decided to finish the job and get fit for the most daunting clubs in the bag: driver, fairway wood, and hybrid. I’ve always found the adjustability of these clubs to be intimidating and maybe more psychological than physical. Was the club creating the draw or was I creating the draw? Was I missing fairways because I didn’t have the correct settings? I wanted the answers but I was unwilling to ask the questions, until this month. My wife and I had a family spring break trip to Monterey, California. We have family and friends in the area. Our days are spent playing golf, visiting the aquarium, frolicking on the beach, and enjoying the sunshine. I looked up fitting locations and was pleased to see that Poppy Hills was certified Titleist fitting site. Before I get into the fitting itself allow me to sing the praises of Poppy Hills. It is often forgotten amongst the more prestigious courses in the area but what it may lack in name recognition it makes up for in playability and accessibility. It is the home of Youth On Course, a wonderful program that encourages kids to play this wonderful game for only $5! I took full advantage and sent my boys out to play 9 while I got fit for my swing. Jesse Plaza was the man tasked with helping me find the correct clubs for my game. We met in the pro shop and he sent me off to the range to warm up. As I was hitting balls I saw him setting up his Trackman(™). I was excited to see the data! We went through the same process with my fairway wood. I hit some with my current model before trying the TS2 and the TS3. Unlike the driver we settled on the TS2 because of the launch I was getting out of that particular club. One big adjustment Jesse recommended was going from my 15 to a 13.5 degree club. The reduced loft created more distance and a better ball flight. Most importantly it felt comfortable. Last but not least we tackled the club that has proven to be the most versatile in my bag, the hybrid. I’ve used it everywhere from the tee box to the fringe and all distances in between. After hitting a few with my current hybrid, Jesse made some ball positioning adjustments and put an H1 in my hands. Immediately I was hitting higher shots that were landing soft without losing distance. I could swing comfortably and confidently without worrying about the dreaded snap hook, something that had been plaguing me with this particular club. As we wrapped up, my boys arrived back at the range wanting to tinker with all the Titleist toys. They each took a club and started swinging it. Without even hitting a ball one said, “this one feels heavy,” while the other said, “this one feels stiff.” I couldn’t help but laugh. They were unknowingly exhibiting the club selection behaviors I used prior to this experience. Getting fit will no doubt have an impact on my score and my game. Titleist made the “suit” but Jesse was the “tailor” that made it fit and now I have confidence going to the course and comfort knowing I’m prepared. Thank you to Jesse Plaza at Poppy Hills and the great people at Titleist. Golf season can’t come soon enough! Repurposing my Grandpa Gene’s Carhartt jacket with the help of Seamus Golf. A day at Trinity Forest, the home of the Width Major. For one week in March we called Carmel, California our home and enjoyed ourselves on and off the course. While the big ticket courses can be enticing and the prestigious enclaves of Cypress Point and MPCC can lead people to contemplate trespassing, this part of the world has more to offer and can be enjoyed by the whole family. The Jones Weekender was a two-man event comprised of 30 teams playing three rounds of golf, two of which were tournament play. The location: Pronghorn, an enclave of golf manicured perfection nestled between Redmond and Bend, Oregon. My best friend in the widest of the world, Justin Weeks (@deezputts to his InstaFans), calls Dallas home and I had the opportunity to spend a few days visiting him earlier this month. This was my third trip to Dallas and by far the most ambitious itinerary to date. With a Saturday evening arrival and a Wednesday afternoon departure we set out to play 7 rounds of golf or as we referred to it #TheDallas126. I am a proud dad. I have four wonderful kids who amaze me on a regular basis. My two oldest are 12 and 10 and for the past three years I have been bringing them with me to play golf. Now I could dedicate an entire post to the dos and don’ts of playing golf with your kids so I will save that discussion for another time. Today I’d like to focus on one particular moment that happened two years ago, a magical morning at the happiest place on earth. olf can be enjoyed in many different ways, that's the beauty of it, the experience is not stagnant. One of my favorite ways to enjoy the game is playing a round with my wife. Some enjoy this game because it’s an opportunity to spend time away from a husband, wife, boyfriend, or girlfriend, I understand that. However, try to hear me out because date golf is a real good time as long as you follow a few simple rules...guidelines...suggestions.